Key tasks of the role include: to undertake general kitchen duties, food preparation and service, the operation of a cashless till system, and basic cleaning duties. Previous experience in an educational environment is preferred but not a requirement however, the ability to communicate easily with staff and students is essential. Knowledge of health and safety in the kitchen would be helpful however full training will be provided. 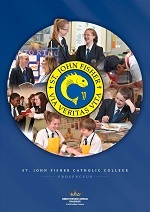 Successful applicants would be expected to work at any one of the four catering sites operated by Christ the King Catholic Collegiate which include St John Fisher Catholic College, St Teresa’s Catholic Primary School, St Wulstan’s Catholic Primary School and Our Lady and St Werburgh’s Catholic Primary School. Application forms and further details are available from the Christ the King Catholic Collegiate website (www.ctkcc.co.uk) or MAC HR (hr@ctkcc.co.uk). The MAC is committed to safeguarding and promoting the welfare of children and young people/vulnerable adults and expects all staff and volunteers to share this commitment. Positions are subject to a criminal records check from the Disclosure and Barring Service (formerly CRB) which will require you to disclose details of all unspent and unfiltered spent reprimands, formal warnings, cautions and convictions in your application form.